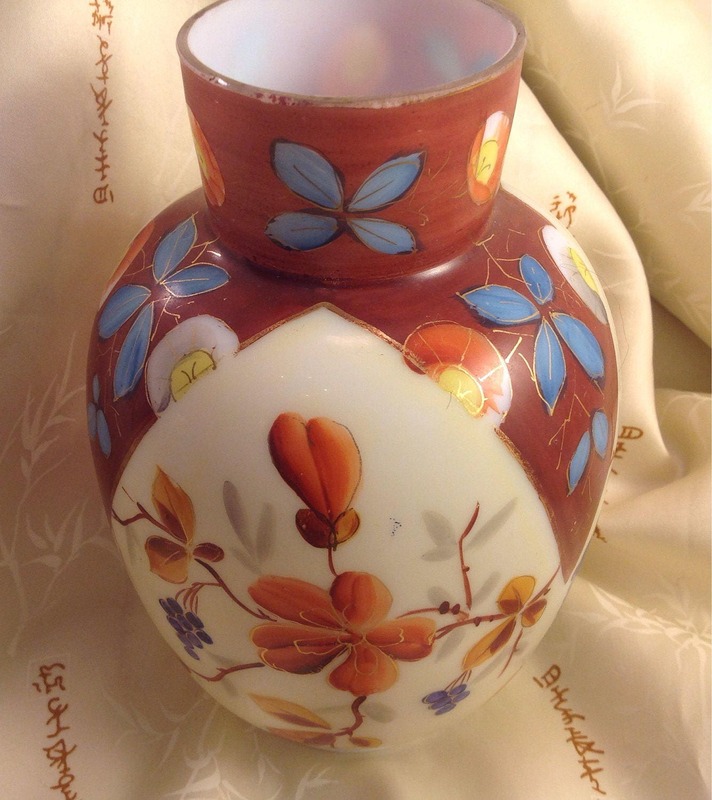 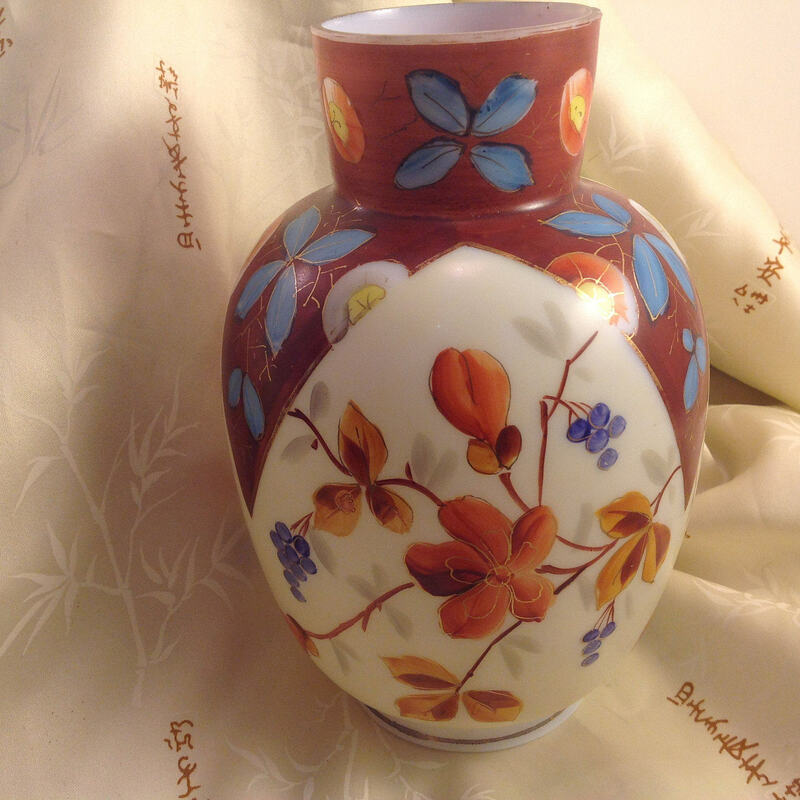 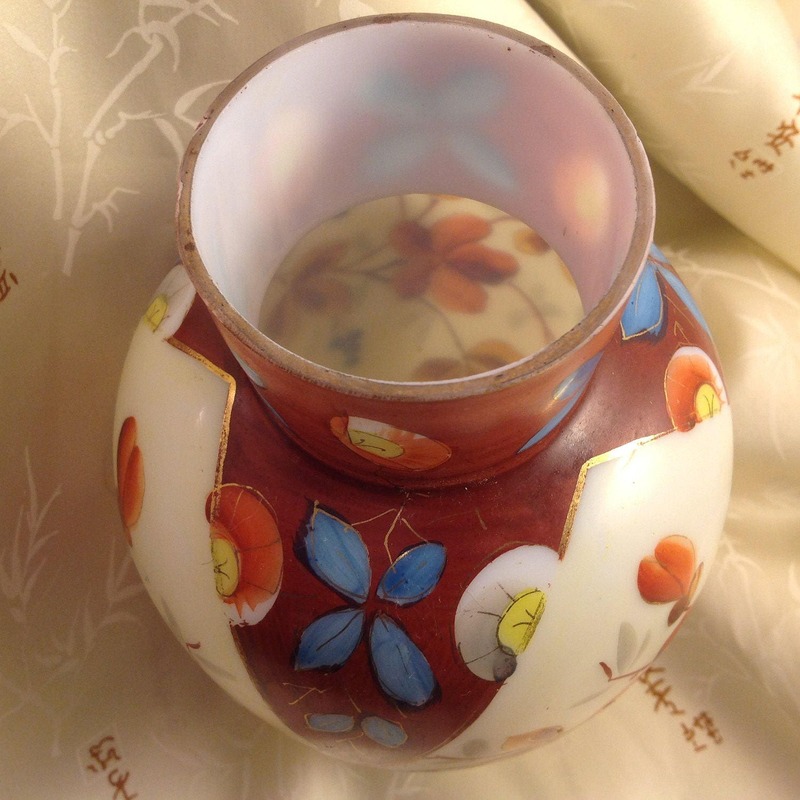 This oriental vintage milk glass Japanese style flower vase features floral decoration in mostly warm Fall colors. 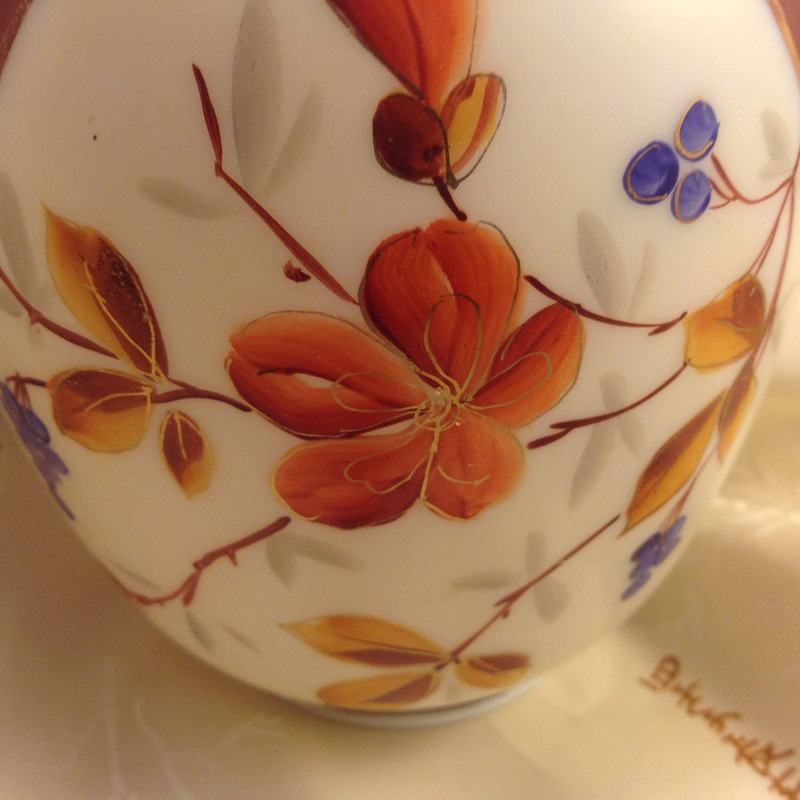 In contrast accents of cool blues add visual interest to the details. 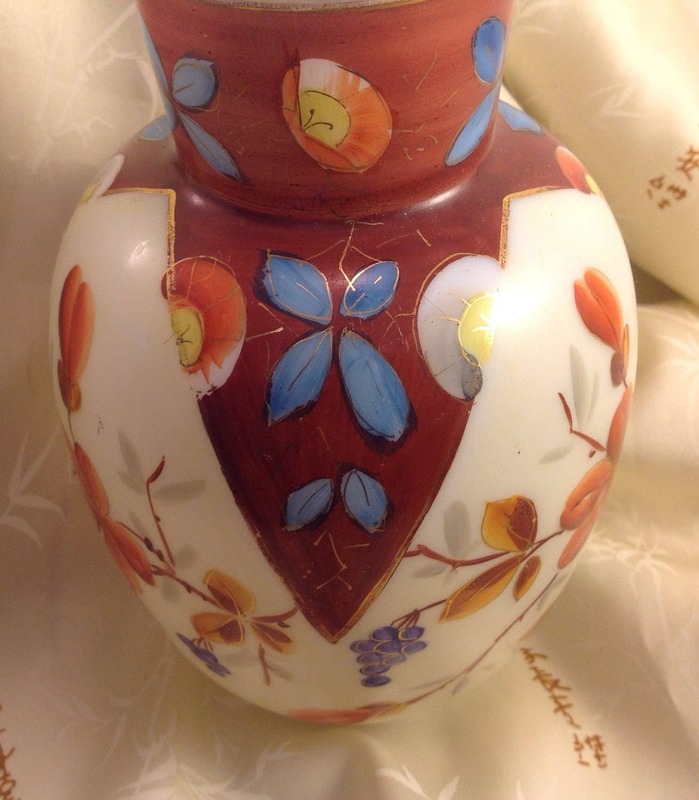 Shaped like an urn it stands on a narrow footed base trimmed in gold banding.